The number of comments on my post about on being a work-at-home homeschool mom showed me that I am not alone in this category! There are many moms who successfully homeschool while working. Pamela Price who blogs at Red, White & Grew is one of them. We have known each other online for a few years now and chatted about the challenges and blessings of working while homeschooling. I was pleased to find out that Pamela has written a book on this very topic! Now I don’t have to write one. 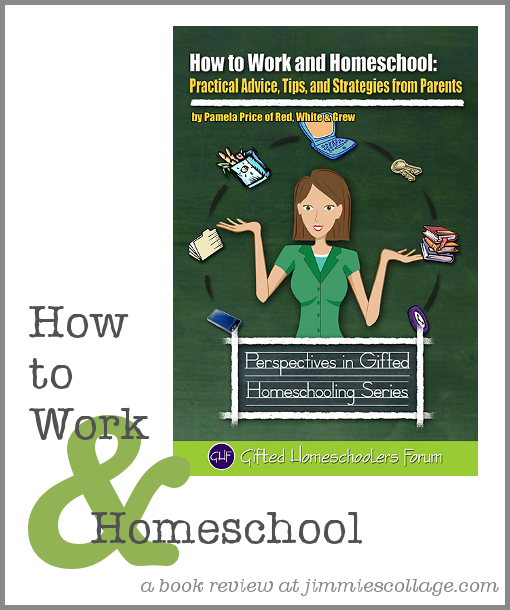 How to Work and Homeschool: Practical Advice, Tips, and Strategies from Parents (affiliate link) covers many different scenarios: working part-time, full-time, inside the home, and outside the home. But the point is the same. Moms can work and still educate their children at home. It is not easy. But it is doable. 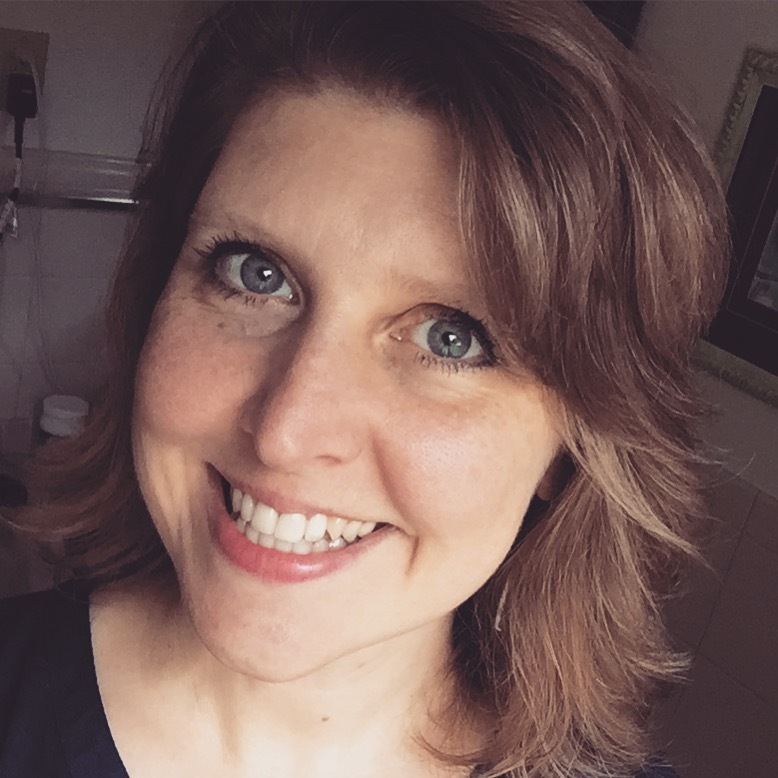 Pamela has gotten lots of input from her community at Gifted Homeschoolers, and in the book she shares their stories and anecdotes as much as she shares her own experiences. This makes her book very well-rounded. You will find something in this book that resonates with your own particular working situation. And you may get new ideas for managing your day based on the creative situations of the families she interviews. How to Work and Homeschool is more of a portrait of the situation than a productivity book. 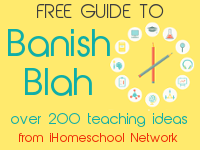 But Pamela does share strategies that make life easier for working homeschool moms. I loved Pamela’s chapters on homeschool entrepreneurship because I consider myself an entrepreneur. Freelancing and telecommuting works well for moms who need to be on hand to help children with school work. If this is something you are considering, the book gives some steps to work through to move into a self-employed, work-at-home model. My biggest takeaway from How to Work and Homeschool was that I’m not alone in my challenges as a work-at-home homeschooling mom. The book made me even more proud that I can juggle these roles and still get dinner on the table and the floor swept (at least occasionally). Use the widget below to enter for the giveaway of a copy of Pamela’s book. Leaving a comment is the only mandatory entry. All others are extra, but you must use the widget to indicate that you left a comment. Absolutely WRITE THAT BOOK, Jimmie. 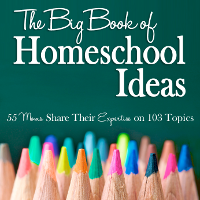 And keep posting, pinning and sharing stories relevant to the working homeschool parent population! It’s just so important that we share our stories, strategies, and experiences so that we can learn from one another and help out other moms and dads. It would be nice to win your book. I’d love to win the book. I’m trying to start working from home and could use all the pointers I can get. And Jimmie, please do write a book. You have a great way of making things simple and clear. Sounds like an awesome book! I could sure use any help available in this area! It is such a day-to-day challenge. I worked outside the home and homeschooled at night until this last April, when I became a SAHM. Now, I’m working toward working at home while homeschooling. My husband and I just had the “Is it OK if it stays a hobby business, or does it have to show a proffit this year?” conversation. We decided the $450 annual overhead is OK, if I limit the time I spend on it so the kids don’t become computer orphans. I think ChristineGuestDesigns is going to go buy a timer, but I’m not sure I can count that on the taxes as a business expense! Christine, the timer is a valid expense! I’d claim it for sure! I work part time at home as well as homeschool my kiddos. Love your new site, by the way. Thanks for being you! Always inspirational! I do not work outside of the home currently but I am considering in the very near future doing so. This book would help me get some ideas. I’ve been following your blog for years, Jimmie, and I’d love to read your book. But in the meantime, Pamela’s book sounds very interesting. Best wishes to you both! Yes there are many work-at-home moms. As someone who has worked at home, I am connected to the forums where my “co-workers” in the company hang out. I want to mention, too, that many moms work outside the home. I’ve done that more than not. So work-outside-the-home moms, be encouraged! It can be done. I’m not currently working but this would definitely come in handy later! I am just entering the world of working at home and homeschooling. I would love a new perspective – especially from someone who has been doing this successfully! I work outside of the home and my husband does some of the homeschooling during the day, and I’ll take over later in the evening when he’s at work, and on Saturdays (we have a Tuesday-Saturday schedule). Sometimes I don’t know if I’m coming or going, but all of this is certainly worth it. Last year when my daughter was in 6th grade and my son in 3rd I started working on weekends only. That was hard, just because I never felt like I had a break. However, in May I had to find another job and I’m now working about 32 hours a week – usually 4 days a week. This fall will be a true test of how I can handle homeschooling and working. My daughter attends a part time program and then when I work I start at 3:00 pm. So, I need to try to fit in both kids school work before 3 or make sure they know what to finish on their own when I am at work. I’m stressing already – and praying I / we can do this. I think my biggest worry is just that honestly I have not done a good job with consistency through their homeschool career so far and now they are both behind. Needing grace and a push to get through this year. I’d love to win the book. Thank you! I am very interested in reading this book as well as one you might write. 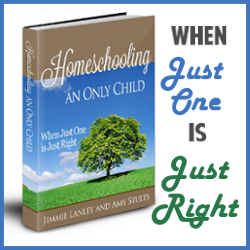 This topic is so relevant for me as I have worked more often then not while homeschool ing. I am just entering the world of online entrepreneuship after a two year break from working. Like you stated in your post it so nice to know I am not alone! I attempted to run a small business and homeschool and totally failed. Once my toddler gets a bit older I’d like to give it another try. I’m very part time, as I figure out how much time to put into this thing. After working outside my home (teaching: public & private schools, as well as a medical background) I’m trying to start a home business. The book would help greatly in handling the challenge/blessing of staying home and all this entails. Hope I win it. Thanks for offering the give-away. I would like to win this.I am thinking of working outside of my home part time and the ideas in this book may come in handy. I would so love to read this book. I am a physician and homeschooling my children together with my husband. We just started year two. It is a lot of work, but oh so rewarding and fun and I LOVE that we have control of our schedule and can enjoy and be with our children. I would enjoy hearing about helpful tips and so forth. Thank you for the opportunity and info. I’d love to win this book! It’s always a juggle to balance home life and work life- while homeschooling. This would be a great resource. I hope you do write that book! I work at home in several ways. I am a part-time TW transcriber (like closed captioning, but for college classes), I am an author, and I am a blogger. I do ASL interpreting on the side for now. I definitely need to figure out how to juggle all of this with homeschooling! I currently work at home (keeping an additional child/blogging) and very part time outside the home. I would love to find a way to do more at home and still keep up.